Can help calm the mind before bedtime. Gentle and effective for fighting skin blemishes. Yes! Vetiver essential oil IS a KidSafe oil. Add a drop to your favorite face wash to help fight skin blemishes. Add a drop of Vetiver essential oil (a little goes a long way) to your diffuser or personal inhaler and inhale for 30 minutes before bedtime to help calm the mind before sleep. Bergamot, Clary Sage, Cypress, Frankincense Serrata, Helichrysum Italicum, Lavender, Lemon, Marjoram Sweet, Myrrh, Nutmeg, Patchouli, Black Pepper, Rose Absolute, Sandalwood Australian, Turmeric CO2. And don’t forget to check out all our other essential oil spotlights on our the Spotlight Page of Plant Therapy’s blog! Vetiver is an all time favorite. I love mixed with lavender or orange to smell better. The effects are amazing for calming, sleep, restless legs, and adhd. Vetiver is my go to for helping with sleep. I put a few drops on a cotton ball and put it on my nightstand next to my bed. I take a few sniffs and I can’t believe how much it helps. i used to have trouble falling asleep, but no more. I also use it when/if I wake up during the night and hardly remember I woke up. Impatiently waiting for this to get here to try out! Love Vetiver – glad I found you, price is great! Thanks for this spotlight! I’ve never have known how great this EO is! 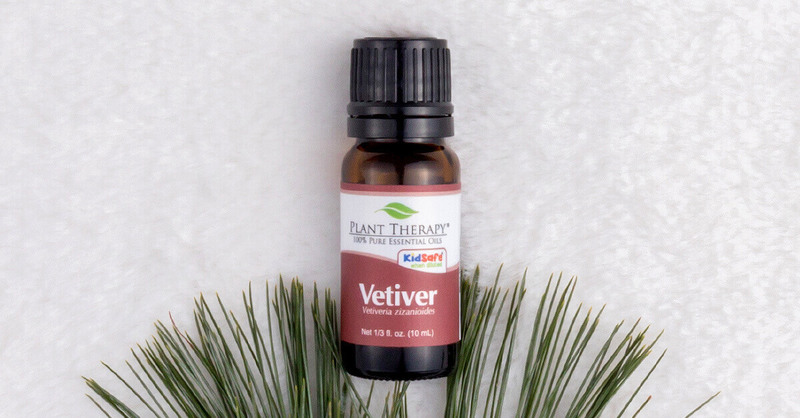 Vetiver was one of the first oils I purchased and it is an absolute favorite. To be honest I don’t even remember why I purchased it originally but it is usually added to all my blends. I ordered Vetiver this month and love the earthy scent. Can’t wait to experiment with it making blends! Winter in Michigan is tough on the immune system. And I have some preteens in the house. I just ordered this and can’t wait to see the immune benefits and some healthier faces. I just bought this and haven’t used it yet! Can’t wait to try it. Thank you for this spotlight. Vetiver has been on my wishlist for years. I cant wait to get it with my next order! I love Vetiver. I use it in my diffuser at night to help me sleep. It works! I have a love-hate relationship with Vetiver. I like it as an enhancer to other EOs, but I can’t do it when it’s the primary. The best tip I got about using it was to repeated dip a toothpick in it until it forms a drop (or partial drop!). It definitely beats waiting for it to come out of the dropper! That’s an excellent tip! Thanks so much for sharing. It takes a little to get use to, but it has become one of my favorites. I love it with lavender or bergamot. Great sleepy time combos. I love Vetiver! I diffuse it with Bergamont and Frankencense Carteri and the stress rolls off me! Even smelling it straight from the bottle puts me in a happy state of mind! Can’t wait to order this with my next purchase! I am new to oils and have heard so many good things about Vetiver. I just purchased it today and can’t wait to try it! I love vetiver it’s one of my favorite essential oils. I use it mixed with bergamot and ho wood to help me sleep at night. I get the most restful sleep with that mixture. I made my own blend which is 40 drops bergamot, 20 drops ho wood, and 10 drops vetiver. I also made my own shampoo with vetiver and lavender. Vetiver is one of my top oils for anxiety!! It totally helps me calm down and chill out . I rub some behind my ears whenever I get worked up and it’s a lifesaver!!! 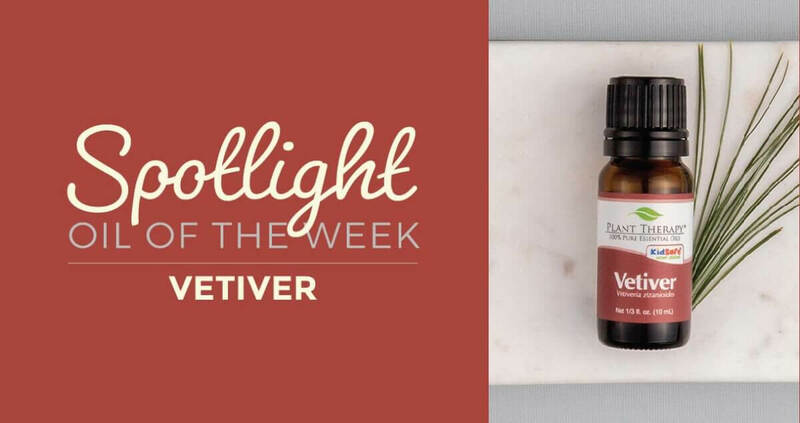 Vetiver quickly became one of my top 5! It’s so complex and comforting. I love it! i have this and didn’t realize how many uses there are for it, thanks! This was a little bit down on my list but it climbs up rapidly 🙂 Is this better than Lavender? Whats its chemical compound that elevates sleep? I love vetiver now, but when i first got it …. phew!! it stunk!! i closed it up and left it for a year … (thankful for the long shelf life!!!!) came back to it and wow!!! it ages really well!! it gets a really deep earthy smell. For me it is such a calming grounding oil. My current bottle is about half way gone which means it is time to buy a new one so I can let it age a bit to deepen the smell!! So if anyone out there gets it and can’t stand it… Don’t give up!! set it aside, and come back in 3 months or 6 months, or even a year later!! you will be glad you kept it!!! Ok ok ok… y’all talked me into finally getting this one! I have sleep issues and feel like I’ve tried em all!! I enjoyed the blog and especially reading the reviews that were left. Excited to try this one out. I love its long shelf life too! It’s worthwhile to get the 30ml since vetiver can last for 6 to 8 years after opening. I love vetiver! There is research to support it’s use in helping promote brain health and focus in those with add/adhd. I like to diffuse it with cedarwood and lavender for my family during homework or even at bedtime. We love this oil! If my daughter can’t sleep she comes out asking for the special oil. One whiff of vetiver and she is conked out! Not my favorite smell, but it works so well! I love diffusing Vetiver and Lavender together before bed. It is so calming! One of my favorite oils, fabulous scent! Using it for calming down, restful sleep , body salves and perfumes.A must for everyone’s oils collection! My whole family LOVES Vetiver and how calming it is! The smell goes so well with patchouli which ie my other personal favorite “chill out” EO. Vetiver is a wonderful oil. I find it makes me very relaxed. I also use it in pain relieving roller ball. I love the scent !!! I love the smoky smell of Vetiver!! To me it smells like a campfire! I love using this at bedtime!! My favorite mix is 1-2 drops Vetiver, 1-2 drops Ho Wood, and 2-4 drops of Spearmint. The amount of drops depends on how full I fill my diffuser. I do the lower amount for 100 mls, and the higher number if I use 200 mls of water. I suffer from insomnia on and off and when I mix Vetiver With Chamomile and Clary Sage it relaxes me and helps me get the rest I need. So relaxing and soothing. Its one of my must haves! Love earthy scents and cannot wait to try it. New to oils and very excited! One of my favorite oils! I love the smell and it works great in my sleep blends. I love vetiver! It smells great! Very earthy & it’s great to use in a relaxing blend! Vetiver has been on my Wishlist forever so now it is going into my cart, with a discount! Can’t wait to try it out! I cannot wait to order this! Definitely one of my favorites to diffuse at night! I happen to love the smokey woodsy smell of this oil! We are never without Vetiver! I have a big new blemish and I’m about to apply some and see if it helps! I live vetiver for its calming properties and often use it when I’m anxious at bedtime. I did not realize it was also good for the skin. I’m so glad I read this post! Vetiver is an oily staple in my house. We diffuse it for sleep and I love that it’s kidsafe. I did not know that it is good for the skin! Vetiver is one of my top 5. Alone or mixed, it goes with all my favs! I have been using PT Vetiver for years. I happen to love the smell and works to put me to sleep like magic. Cannot live without. Read the reviews on this one and can’t wait to try it.